Home / Uncategorized / Who took Gary’s picture? 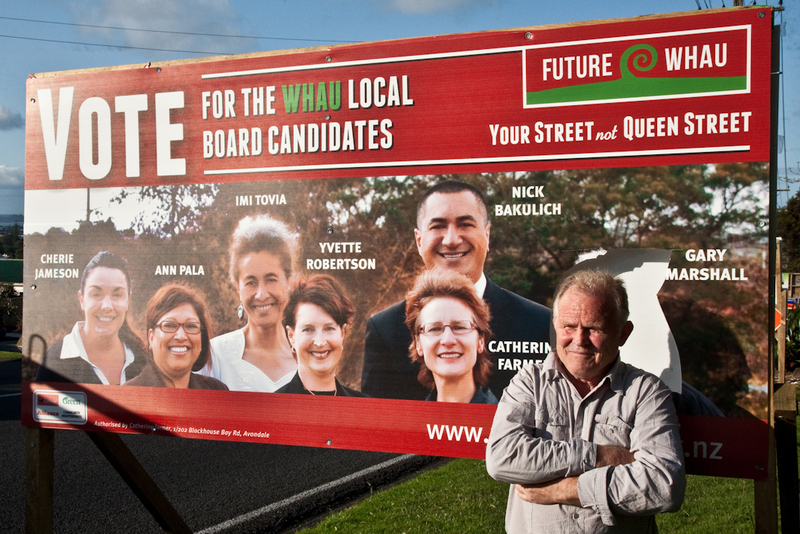 Gary Marshall is one of the Future Whau candidates for the Whau local board. Someone has cut his face out of one of their billboards. You can see from the photo that Gary is a bit of a rugged individual who has some rustic charm but he is perhaps past his prime. So the whole thing is a bit of a mystery. Information from the public concerning the possible face snatcher would be appreciated although in the cause of domestic bliss please do not tell his wife Gayle.